Surf Cat was created for hipsters. The ultra cool. Really smooth operators. In other words, CATS! We have taken the latest designs and created safety collars for kittens and cats. Our collars are made with breakaway buckles that not only pop open under pressure, but burst with color and style. 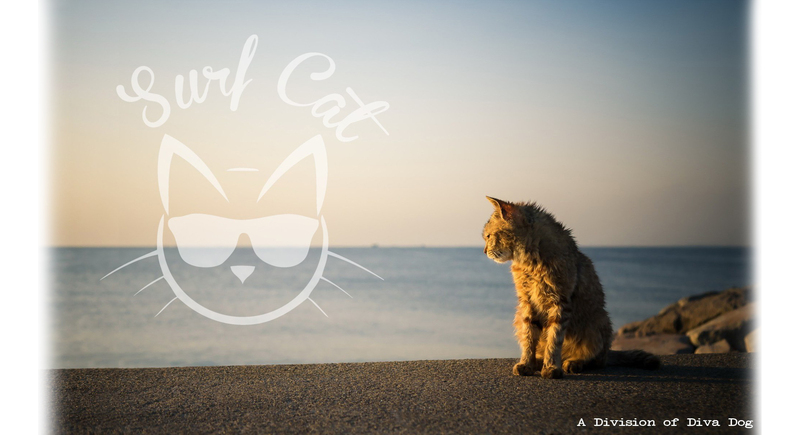 So, if your cat is too cool for school, the cat's meow (ok, you get the point), then check out Surf Cat! Surf Cat is division of Diva Dog, a Southern California based company that was established over 15 years ago.